He preached God’s kingdom and taught about the Lord Jesus Christ with great boldness (parresia) . . . Acts 28: 31. There is one word that runs through the entire book of Acts. It is that great Greek term parresia which here is translated “boldness.” However, it is not the ordinary word for boldness. It is a word that puts the emphasis not upon courage—though that lies behind it—but upon a particular kind of courage and boldness. Too many Christians (and preachers as well) lack this God-blessed quality which is why so little progress has been made in recent days in evangelizing a nation that is rapidly going down the drain. We complain about the fact that we have been remiss as a nation when it comes to truth, holiness and the like, but we are loathe to do what needs to be done about it, namely, to proclaim the one message that is capable of transforming a degraded society into one that pleases and serves God. Science won’t do it, technology can’t, politics is incapable, and only the Gospel has the power to do so. But if we remain afraid to open our mouths honestly and forcefully—as the preachers in Acts did—things will continue to go from bad to worse. Read the book of Acts again, focusing upon this bold preaching of the apostles and others, and you will see how it was what made it possible for them to “turn the world upside down” as those opposed put it (Acts 17:6). Actually, they were turning things right side up, but unbelievers always get things upside down. That’s what you hear people say. But times have changed; now all people want to talk about is politics. It isn’t as popular, however, to talk about religion today—unless derogatorily. Frankly, I hope the era of excessive talk about politics will soon recede and men and women will once again talk about religion. There once was a time, older people told me, when, after a Dwight L. Moody campaign in Baltimore, streetcars filled with people singing hymns could be found rolling along throughout the city. It was because Moody suggested that something be done to reach sailors at the harbor of Baltimore, that Port Mission was formed—a mission at which I worked one time, evangelizing young children, and out of which we held street meetings for the populace. There was a day, then, when religion—not just any religion but the religion of Jesus Christ—was a chief matter of discussion. May such times reappear! What can you do to help that transformation of this secular country to take place? You can begin to speak more about Christianity wherever you are. Things have changed so that in many communities people don’t even know their neighbors. They are isolated from them at times when they can simply talk. People used to sit out on their porches on a summer evening, visiting and chatting with each other. Now, they spend time in front of an HD wall TV in air-conditioned comfort. Progress? Electronically? Yes. Socially? No. What came naturally, yesterday, must be done deliberately today. It is necessary to “make time” to do what just “happened” in past eras. So, what shall we do? Well, it will take creative new ways to bring about what once were “givens.” It will mean thought, effort, and dedication if we are ever to bring about conditions where people, in mass, begin to congregate around discussions of the faith. Perhaps you can be a catalyst in your community. For starters, you can talk more to more people in more places about Jesus Christ. Perhaps you can become a “community organizer”—not for some political cause—but for the Lord! For we are not to despair of anyone so long as the patience of God leads the ungodly to repentance, and does not seize him out of this life . . .
Augustine, Sermon LXXI, xiii, 21. Have you given up on the conversion of your husband? Your child? Your relative? Your neighbor? You must not do so. You do not know that God has done so. He/she may yet be converted. Perhaps on the death bed; perhaps before. But it is your task not to make a final judgment about anyone. God, alone, knows the heart. Your task is, however, to keep on praying for him, to keep on witnessing to him, to keep on living a godly life before him. Yes, I know it seems unlikely that he or she would ever believe. But didn’t it seem even more unlikely that Saul of Tarsus would become the apostle Paul? Who are you to judge that the eternal destination of another will not be heaven—while the door to it still stands open? While the door stands open, your mind must as well. No. If you have given up hope, it is time to renew it. Talk to the Lord about the matter. Tell Him you believe that His power is greater than any the evil one exerts over your unsaved friend. Beg Him to save him. Then tell Him you will be satisfied with the outcome. There are two, you know. Most people don’t know this. They may guess or hope against hope that it’s true—but they simply don’t know it. Christian, you and I know for sure that it is true. I’m referring, naturally, to life. There is physical life and there is spiritual life. Physical life is obvious—spiritual, not quite so obvious. In fact, if I hadn’t brought it up, if you aren’t a Christian, you probably wouldn’t have even thought about it. Only Christians have good reason to think about such a thing. And even they need to be reminded. “How is that?” you ask. “Well, only the Christian has information about the issue from Someone who has not only the right but the authority to speak about it. When Jesus speaks, Christians listen—or they ought to. He’s the One Who, when He spoke about fear, told us not to fear those who could kill the body and do nothing more, but to fear the One Who can throw both body AND SOUL into hell. So, He made it absolutely plain that there is more than a physical existence. The spirit (or soul ((The two words refer to the same, non-material aspect of man. The word “soul” is used when referring to the spirit in union with the body, while the word “spirit” is used when referring to the soul disunited to the body.))) in addition to the body has a life before God. Indeed, though they are now inseparable, they time will come when at the death of the body they will temporarily be separated. The human being, at that time (prior to the resurrection of the justified and the unjustified), will know only a spiritual existence. It will be a conscious existence, and will be in what God calls Paradise (bliss), or in Gehenna (a place of suffering). Spiritual life, then, is a genuine concern to believers—it is a life lived with God—here, imperfectly; in eternity—perfectly. It ought to be of concern to unbelievers as well: they should heed Christ’s words about Who should be the object of their fear. Thinking of the body cast into Gehenna, together with the soul, ought to be a fearful concept which, as Jesus inferred, ought to make one stop and think twice about where he places his trust. Is it in men or in God? Is it in Christ or in the world? Only those whose spirits have been cleansed from sin by the blood of Jesus Christ shed on the cross for those who would believe, have reason to expect to live eternally with Him. For them is laid up treasures in heaven that they shall enjoy forever. Give it a thought, believer—are your laying up abundant treasures in heaven, or a meager amount of the same? Think about it unbeliever—are you willing to turn aside from life that is really life out of fear of man? 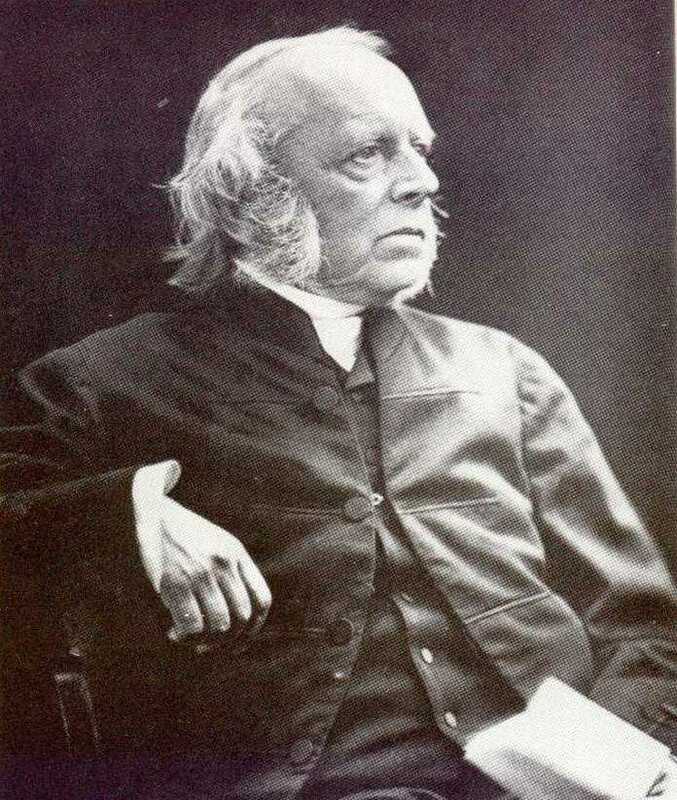 This Free Presbyterian Church of Scotland minister sought to meet a trend in his day that was sapping the life of the church. It was the burgeoning tide of Preparationism (adopted from the Roman Catholic doctrine of congruism). Preparationism teaches, in effect, that in order to become regenerate a person has to put himself in the way of it. He is to read Scripture, put away all known sins, go to church regularly, and so forth. Then, in time, if he becomes “sensible” (aware and concerned about his sins), it would be allowable to present the Gospel to him. People were put off for months–even years–before some self-righteous prig would deem them ready for the Gospel. I first ran into this at a conference years ago, when one of the other speakers told me after a message (and these are his exact words), “You’re preaching the Gospel too soon.” I was bowled over by such a comment, and so I investigated this entire movement. It turns out that Bonar was right. He wrote against this works-righteousness, and even wrote some of our most beloved hymns to counter it. Bunyan, who seems to have been adversely affected by this teaching for a while (read Pilgrim’s Progress carefully), at length wrote a sermon entitled, “Come and Welcome to Jesus Christ.” And Jonathan Edwards was taught it. But, instead of groaning for months on end about his sins, Edwards, it seems, came to a sudden happy conversion. But it had made strong inroads into his thinking. And if Cherry, his biographer, is correct, it bothered him all his life that his Conversion didn’t fit the pattern. It was preparationism that, in New England led to the halfway covenant that wreaked havoc upon the region. The Puritans who adopted and propagated this view (not all Puritans did) were the first psychologizers of religion. By laying out a pattern that was to be followed in order to be regenerated, they tried to understand the steps of conversion and then, having done so, attempted to program conversion step by step in individuals. We must avoid ever returning to such teaching. Along with this astounding statement that almost bowled me over, another incident knocked me for a loop. The third speaker at that conference was also a preparationist. In his preaching, he spent the entire week trying to assure people that unless they had experienced the pattern I just described, they weren’t saved. I had encouraged a young girl who had just become a Christian to attend the conference (not knowing what we were about to run into since at such previous conferences nothing such as this had ever occurred). His preaching so unsettled her that she became uncertain of her salvation. When I spoke to the preacher who has caused this, he said, “Well when you plow with the Word, you sometimes take up the wheat with the tares.” I let him know that I was dismayed at such an unbiblical comment. It took us several weeks to put this girl’s faith back together again. Keep a sharp eye cocked to detect any inklings of preparationism and refute it as soon as you detect it. Horatius Bonar’s materials and hymns will be a great help to you in the effort. The Word of God must be proclaimed, and refusal to hear it is no excuse from preaching it. You may become discouraged, ready to throw in the towel and about to turn from the pulpit, but those are not excuses from preaching the message. Count on it—less and less people are going to listen to you. Our society has changed. You will be laughed at, ignored, or even outcast from your present post–but the Word must be preached regardless. Indeed, there will be less and less who will listen to the pure words of God (they’ll run to other venues where it is preached in conjunction with untruth or watered down teaching), but small though your church may become, hang in there and preach all the harder, clearer and more powerfully. God will bless—in one way or another. Today you read much about the possibility of OBEs (out of body experiences). Is this something for Christians to be concerned about? Is it possible for someone to have such a near death/death experience and still live? Could his spirit leave his body momentarily and then return? If you are wondering—read again 2 Cor. 12:2 where Paul, speaking in the third person of himself, contemplates such a possibility. But the genuine possibility of an OBE isn’t the important thing. What is interesting is that he speaks as well of going to paradise (the third heaven) during the experience (whatever kind it was: in or out of the body). That is where Jesus told the believing thief on the cross he would be together with him at death—that very day. So, the real question is: if you were to die today, where would your spirit be: in paradise or in gehenna (the place of punishment)? Upon death all go to hades (hades means the “unseen world” in which both places exist). But only those who have been saved enter paradise . That’s a good question—and isn’t asked often enough when discussing the atheistic thrust of our contemporary society. Ask yourself—why would someone go to great lengths to deny the existence of God? If what the Bible teaches is true, think of all the marvelous promises that believers have (and unbelievers don’t have) as a result of faith in Jesus Christ! A new body in which there is neither death, sickness, nor sin; power unlimited; eternal life full of joy and peace, etc., etc. Hmmm—-there must be a pretty strong motive behind this denial of God; do you have any idea what it is? The wicked arrogantly thinks “There is no accountability since God does not exist.” Psalm 10:4 (HCSB). There you have it! In clear terms—If I can get away with it here and now (whatever sinful thing that I would like to do), there will be no one after death to answer to for whatever I have done. Action without consequences—that’s what the atheist wants! But God says this is sheer arrogance. And, of course, that’s exactly what it is—a person thinking he is so smart as to be able to contradict all the great prophets. Well, then, what? The fact that if they are right, you can get away with some things you are now hesitating (but would like} to do? Right? Think deeply. Some day you will have to stand judgment before God—in that day your arrogance will melt like ice cast into a fire! What will you say? How will you defend yourself? What will it be like to face God unforgiven? Two prepositions that together work!